for ALL SPRING sports is NOW OPEN! This is a new database. When you choose the link above you will be redirected to a new page. It looks different, but rest assured you are on the correct site. Where applicable, a family discount may apply to specific fees when children from one family participate in the same sport, in the same season. All family members must be registered at the same time to be eligible for any discount offered. Neither Basketball, nor Wrestling, offer family discounts. 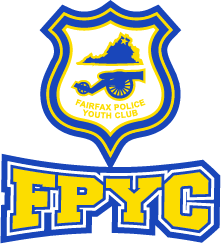 Reduced-fee Scholarships – FPYC is no longer able to provide full scholarships; however, a limited number of reduced-fee scholarships are available for some sports. In order to qualify, applicants must live in Fairfax County and receive assistance from one or more of the following: Free/Reduced School Lunch, Temporary Assistance for Needy Families, Aid for Dependent Children, Foster Care, or Medicaid. All applicants must also be enrolled in school (kindergarten through 12th grade). If your child meets these criteria, you MUST register in person and bring a copy of your benefits, or eligibility, letter with you to be considered. PLEASE DO NOT COMPLETE THIS ONLINE REGISTRATION FORM. If you have questions, please contact Debi Honaker at administrator@fpycsports.com. Soccer: Uniforms are required for all players. For players who are aged U5-U10, costs are shirt $22, shorts $10, and socks $5. Uniforms for these age groups can be purchased at any Walk-in registration or at the last Uniform Sale prior to the start of the season (date determined each season - see the Important Dates tab under Soccer). Uniforms for players in the U11-U19 age groups must be purchased through your coach. Costs for these pieces are shirt $25, shorts $20, and socks $10. This uniform may also be purchased as a kit (shirt, shorts and socks) for $45. *shin guards are mandatory equipment but may be purchased anywhere sold. Refund Policy – A minimum $45.00 handling fee will be deducted from ALL refunds, including reduced-fee scholarships. Additional restrictions, as to refund amount and date after which no refunds will be allowed, vary by sport. Please see your sport’s page on our website.